If you are involved in the warehousing industry then you will understand the importance of the right equipment. 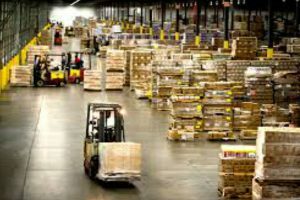 Machinery such as forklifts, pickers and pallet racking/trucks are essential for logistics and the daily operation of a warehouse. Whether it’s for a storage shed or a shipping dock, you can find all the equipment that you need for your business via auction. And, it will be at a much cheaper price than it would usually cost direct from the retailer. Forklifts are essential in any working environment that includes a warehouse or requires the movement of heavy or bulky goods from A to B. Forklifts sourced at auction provide considerable opportunities to save on the usual upfront procurement costs. Choose from a large range of used forklifts at auction, most serviced and ready to go. Stock may include many different makes, models and fuel types. Popular brands include Liftsmart, Combilift, Aisle-master and more. Auctions sell all types of warehousing solutions. Equipment on offer can include: reach trucks, order pickers, very narrow aisle trucks, pallet trucks, pallet stackers, 3 and 4 wheel electric trucks, tow tractors, internal combustion pneumatic/cushion tyre trucks and more. Reach trucks provide versatility and great performance. Electric order pickers offer quiet, effortless function. They ensure fast and accurate order picking. Very narrow aisle trucks deliver just what their name suggests: the ideal solution for high-density warehouses, they can fit into aisles from 1650mm. Pallet trucks are mainly used whilst unloading or loading trailers. Good quality pallet trucks make the operator’s job as easy and as comfortable as possible. Pallet stackers such as pedestrian warehouse stackers and counterbalance stackers get the job done, ensuring processes are streamlined and aisles, space is maximised and aisles are kept clear. Electric trucks are highly versatile and maneuverable, making those difficult jobs much easier. Tow tractors provide efficient, cost effective options for intensive manufacturing warehouses. Forklift trucks come with a host of extra features, are fuel efficient and often suitable for specialised tasks. Procuring forklifts and warehousing equipment at auction is the smart way to save on essential, yet costly, capital goods. If you are in the manufacturing industry you can bag a bargain on ex-lease, superseded and liquidation stock. You will likely have the option to pre-view equipment and to check the equipment’s safety standards. Lloyds Auctioneers and Valuers offer capital goods for sale to corporations and the public. A wide range of forklifts and warehousing items are regularly made available. Buyers have the opportunity to pre-view equipment and attend an auction in person. They also are afforded the convenience to bid online via a secure, efficient online auction process. Registration takes only a few seconds. Therefore, you can be keeping tabs on the best deals going all from the comfort of your home or office. Take a look at our current forklift and warehousing auctions today.